In my last post I mentioned that DDD North 2 was fast approaching. Well as predicted it did not disappoint. This year I was presenting on the subject of Spatial SQL, which almost had to be cancelled due to a failed Microsoft Security update to my Laptop just before I was due to go on. Most of you in the UK development community will be aware that DDD North is quickly approaching, and you may remember I wrote about the first ever occurrence of this event last year when I attended it at the university of Sunderland. 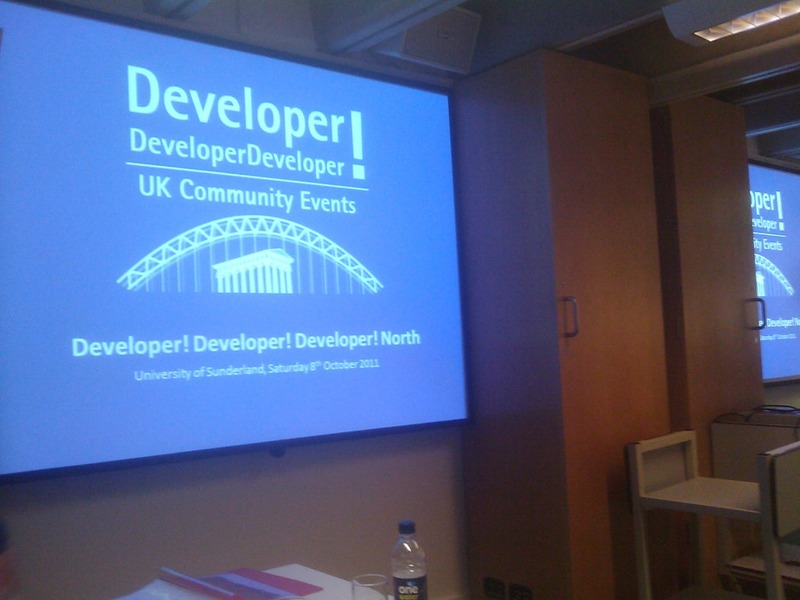 I had the pleasure to attend the very first ever Developer Developer Developer North community event to held in the North East of England last Saturday (8th October 2011) and I have to say what an Incredible day it was.